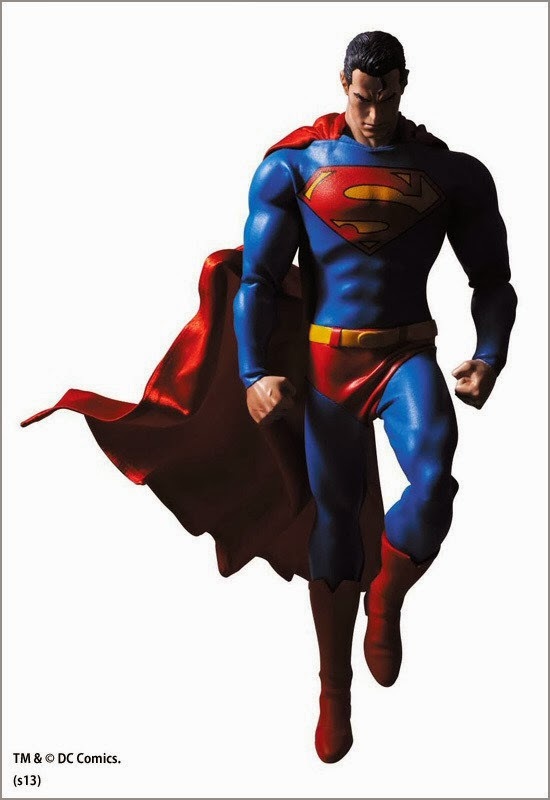 Kryptonian Warrior: Medicom Making New 1/6th Scale Superman, Batman, The Dark Knight Returns RAH Figures! 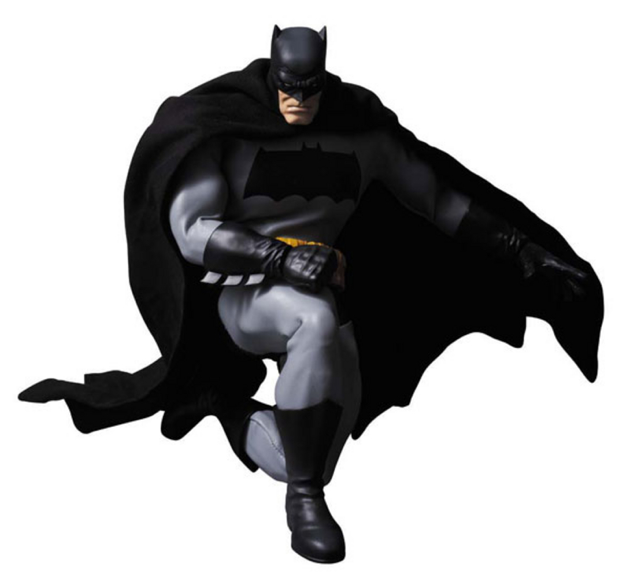 Medicom Making New 1/6th Scale Superman, Batman, The Dark Knight Returns RAH Figures! 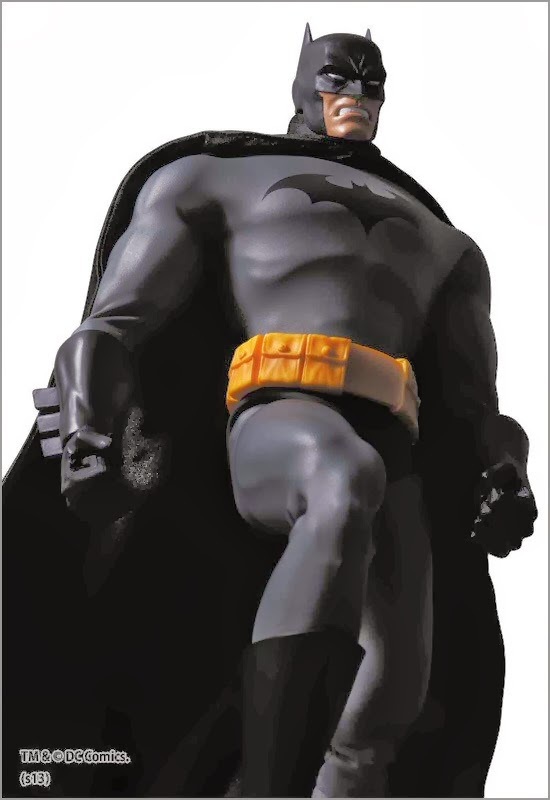 As a massive collector of 16th scale figures and a massive fan of The Dark Knight Returns and Batman and Superman in general it is with an ecstatic note that I bring you news of a new figures being made by Medicom. 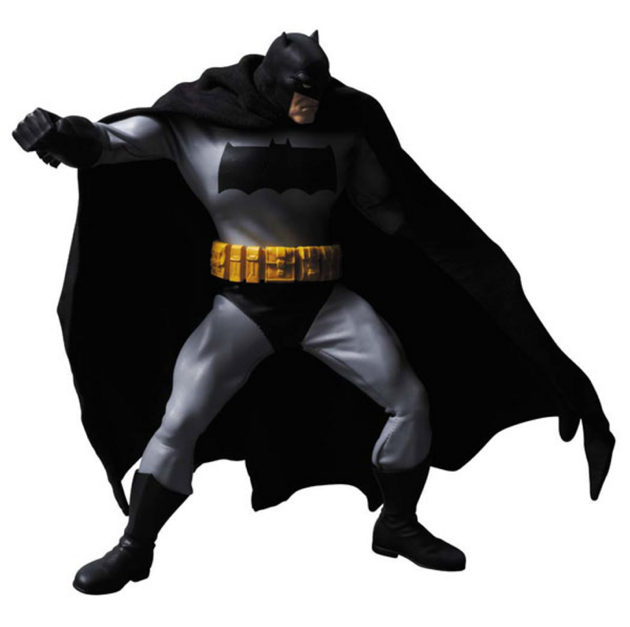 Medicom‘s 1/6 scale Real Action Heroes line is set to expand in 2014 with a new take on Batman based on Frank Miller’s The Dark Knight Returns. 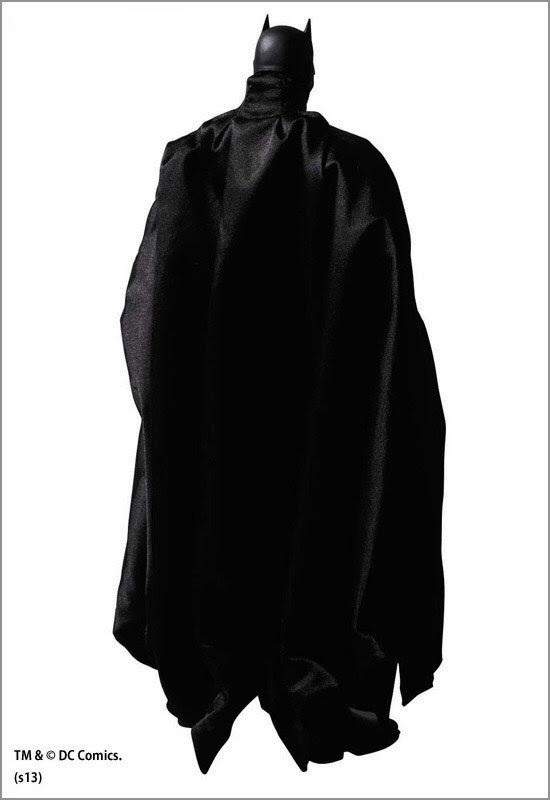 Adorned in the usual RAH fabric clothing, the upcoming action figure will include as-yet unrevealed optional hand pieces and a special figure stand. 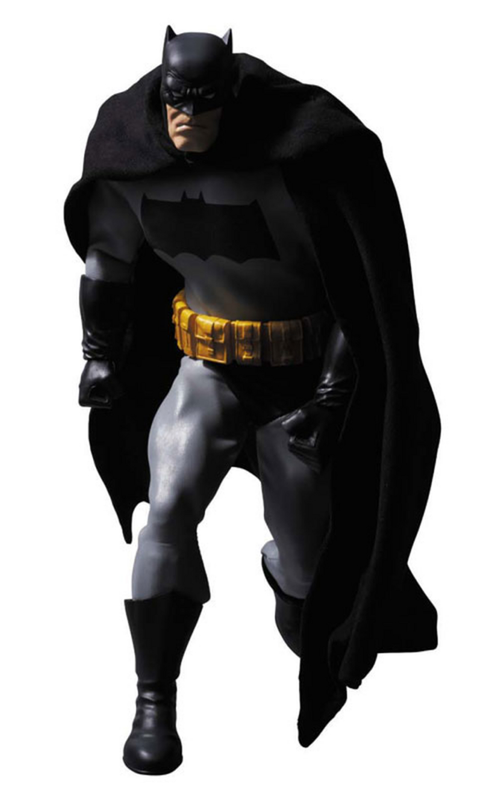 Presumably, it’ll also come with weapons and accessories such as batarangs too. 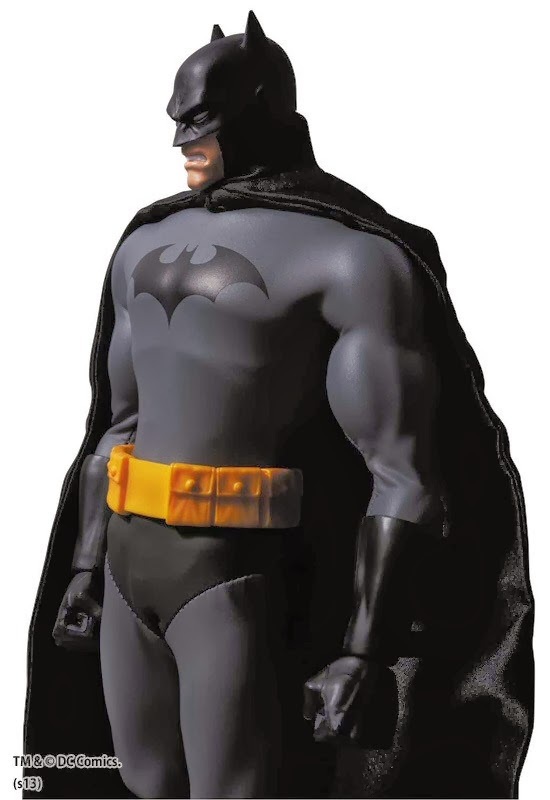 You can see Medicom’s upcoming RAH The Dark Knight Returns Batman figure in more detail below. 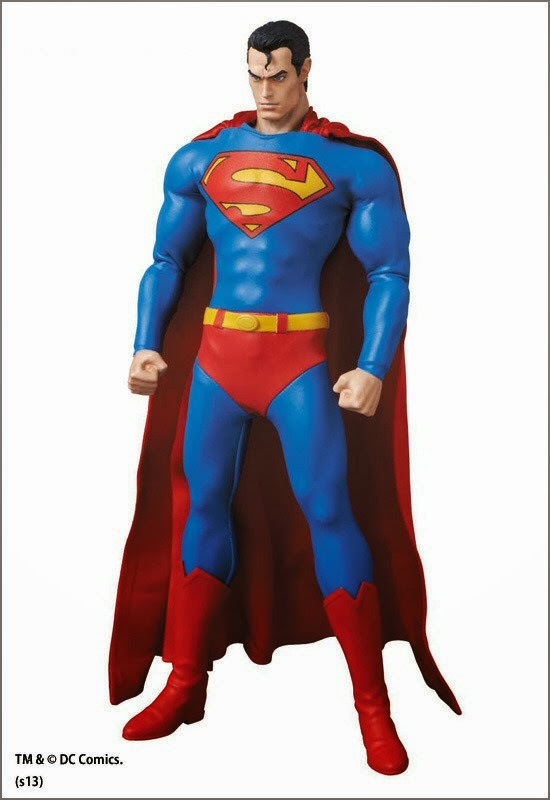 You can also see images of Medicom's new Superman and Black Suit Comic Batman figures too... 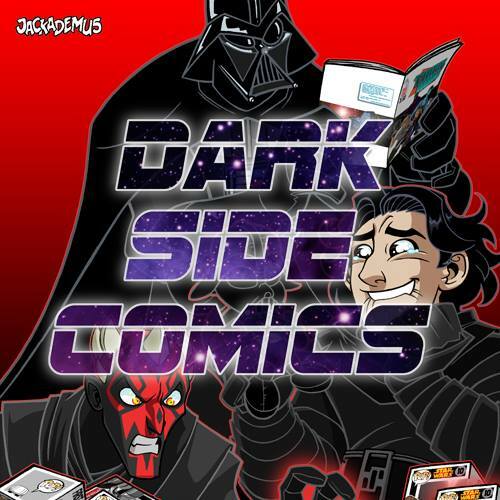 I want them all!!! 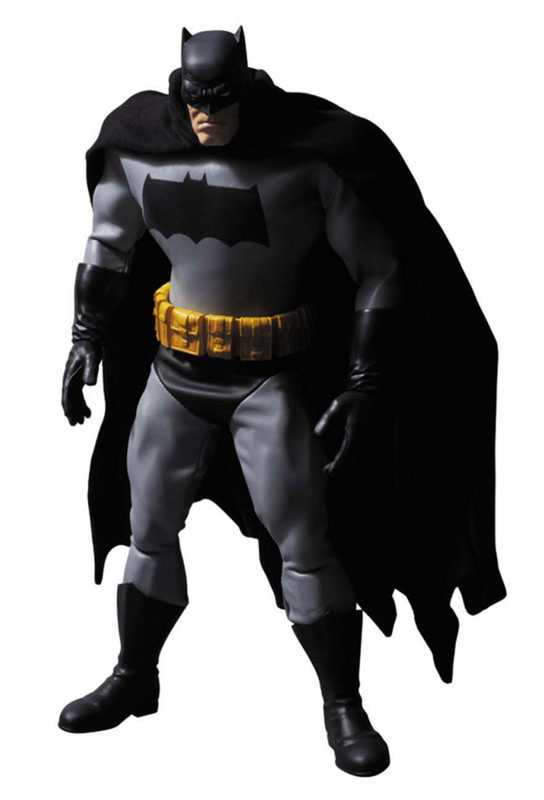 Medicom‘s Real Action Heroes line will recruit the World’s Finest this summer with two new roughly 12″ tall takes on Batman and Superman. 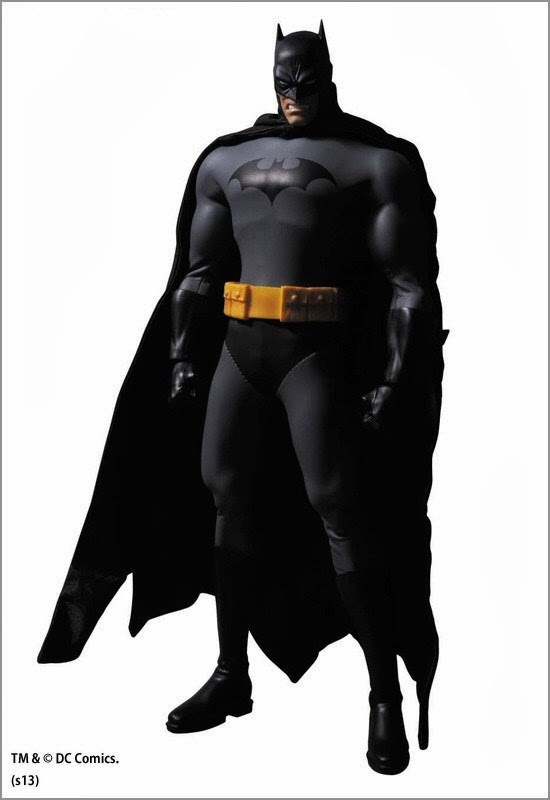 Joining the Jim Lee-style Batman Black Suit Version is a new comic book (but not New 52) take on Superman. 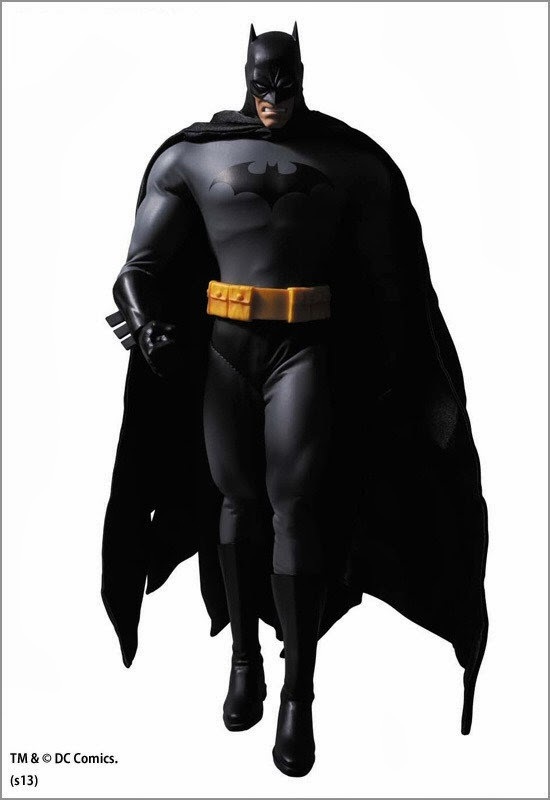 Preorder sites are currently listing each figure at around $170 a piece, with an estimated arrival date of June. 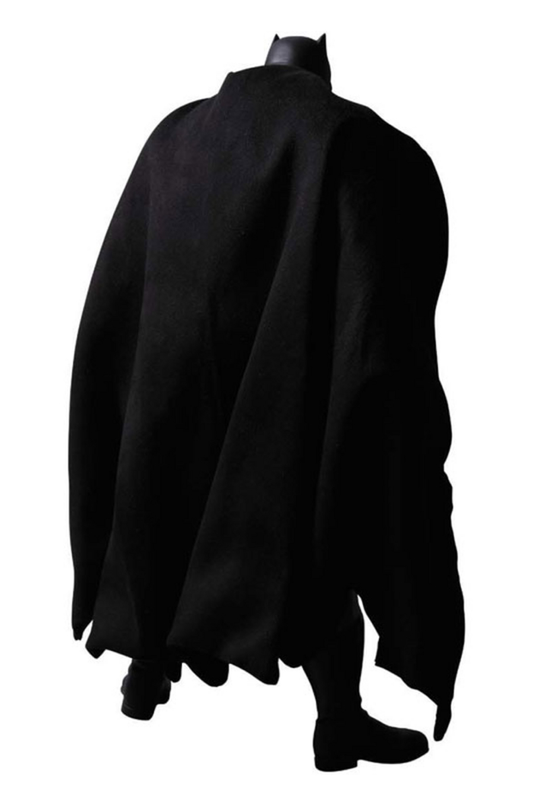 Accessories haven’t been fully specified yet, but listings around the Web indicate that the toys will come with interchangeable hands and their own special bases, like most other RAH figures. 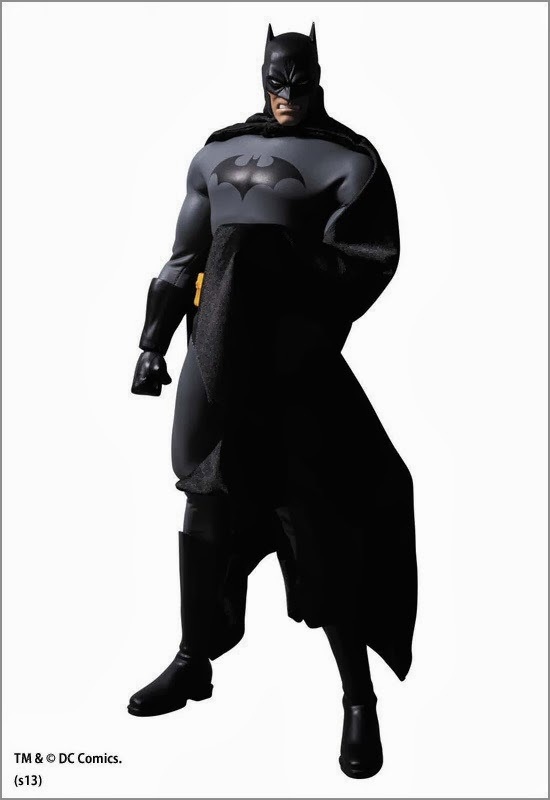 This RAH Batman will mark the second “Hush” version of the character to come to market. 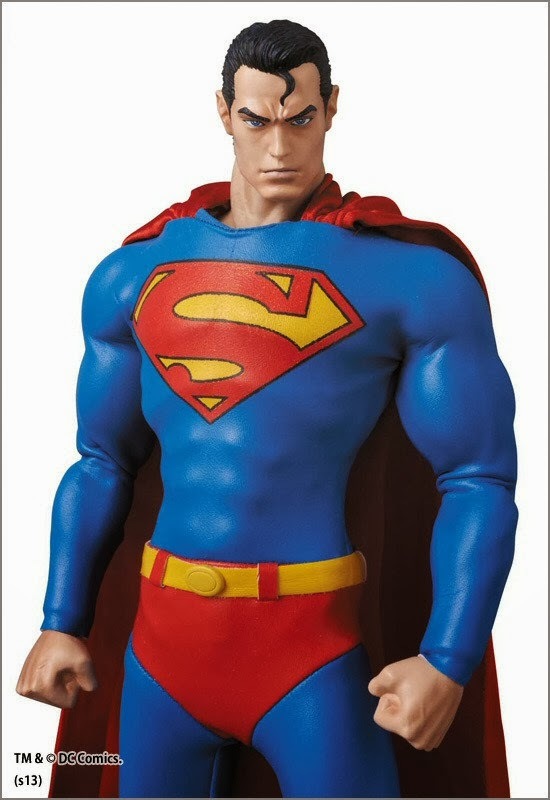 Unlike Bats, this is Superman’s first comics-styled figure from Medicom, following a Superman Returns movie figure several years back. 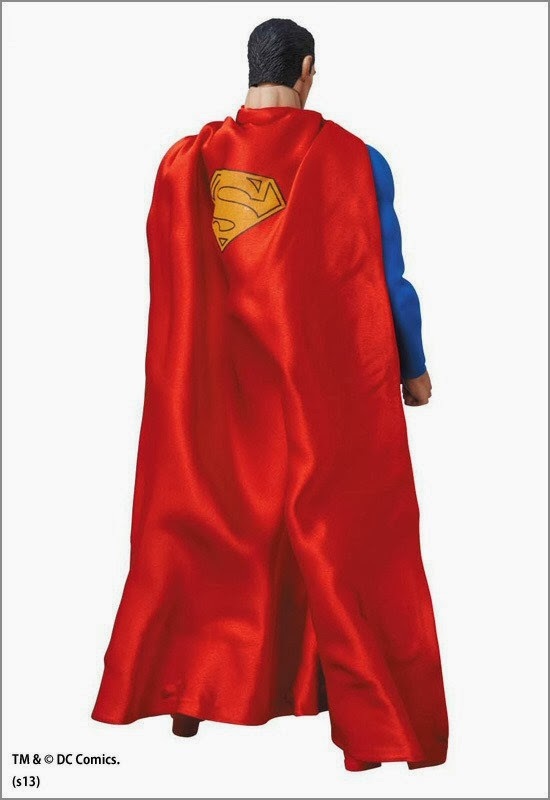 Depending on how you look at it, the new Supes bears a semi-resemblance to Man of Steel actor Henry Cavill. 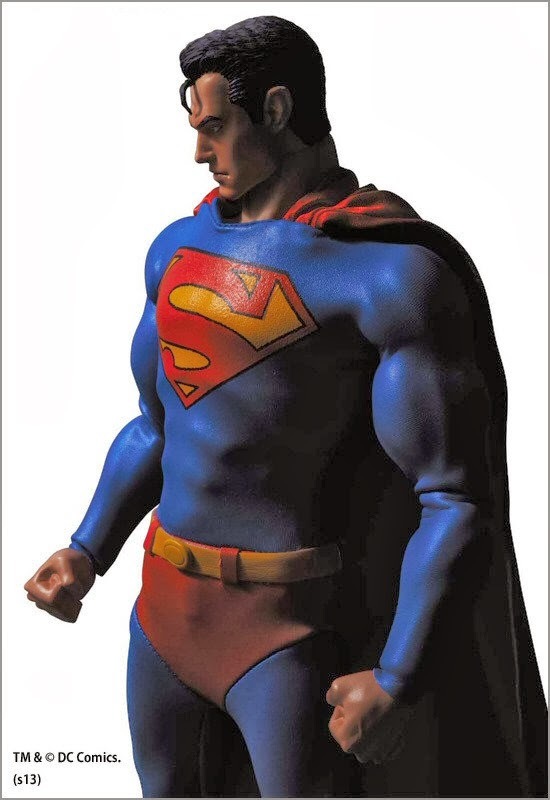 Since that’s not how it’s being marketed, I suppose it gives collectors an unofficial look at what MoS could’ve been like if the actor had donned something more in line with Christopher Reeve’s ’78 suit. 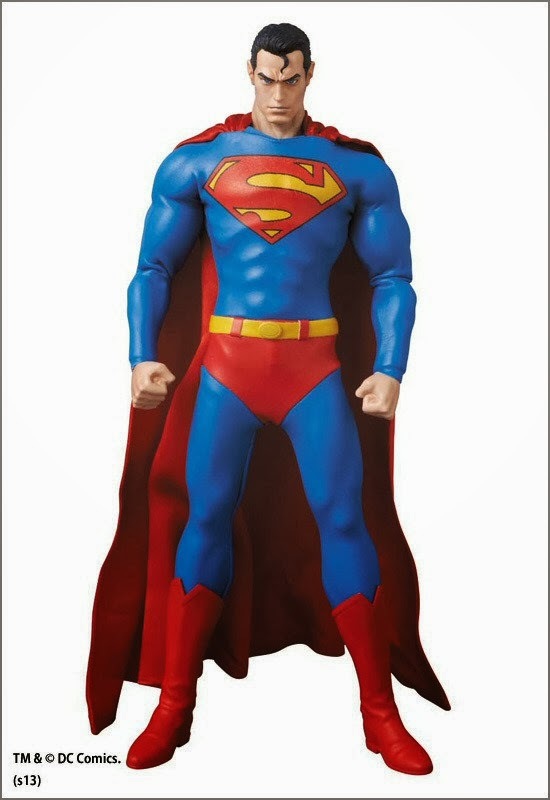 You can take a closer look the upcoming Real Action Heroes Black Suit Batman and Superman from Medicom below.